MEADE GUNNELL assists owners with making decisions to sell or lease their property for mining opportunities. A financial and market analysis can be performed for a specific time period to estimate potential real estate values. A preliminary feasibility study is initially performed to determine whether the site is valid to conduct additional geologic exploration and studies for reserve estimates. Although most properties require a conditional use permit from the local zoning authority, MEADE GUNNELL will assist in the re-zoning process and often require assembling a group of adjoining property owners with valuable mineral resources. Environmental studies will be conducted to evaluate potential impacts to ground water, surface water, wetlands, endangered species, historical property, and adjoining land owner’s impacts. Successful mine permitting will benefit all parties. Our valuation services typically includes the analysis of reserves, an independent technical review of current mining practices, a third party or confirmation review of existing Feasibility Studies, a mining cost estimate, production analysis, mine expansion permitting sensitivity, along with reclamation liabilities. Our valuation reports and findings allow financial institutions and investors to make an independent assessment of the potential cash flow rate of return on investment. Infrastructure spending in the USA is projected to increase over the next few years. 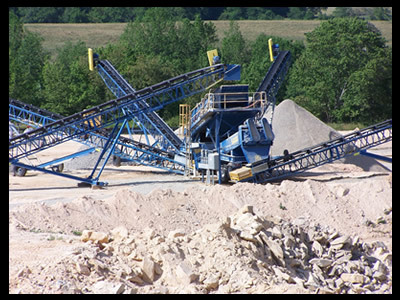 More quarry locations are needed to meet the demand for sand and crushed stone and to stabilize construction material costs. MEADE GUNNELL utilizes a refined GIS database to find new greenfield quarry locations. An industrial Minerals review 2016 was published by Mining Engineering magazine in July 2017. The industrial minerals review link summarizes the demand and prices for common industrial mineral commodities. In particular, Lithium has recently become a commodity of great interest in the mining industry. The growing use and acceptance of electric vehicles has led to forecasts that lithium demand is predicted to rise globally. North Carolina is one of the rare locations with lithium minerals found in hard rock deposits.